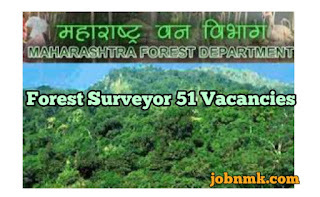 Maharashtra Forest Department Has from 7th February Invited Online Application Form for Forest Surveyor Posts.The Vacancies are in MahaForest of Amravati, Aurangabad, Dhule, Gadchiroli, Kolhapur, Nagpur, Nashik, Pune, Thane, Palghar and Yavatmal in Maharashtra. The Interested Candidates Can Read the following Full Notification Before they Apply Online form. Candidate should have passed the HSC (12th) with the Surveillance Inspection Certificate. Candidates shouldGo through the full notification for detailed eligibility criteria. Relaxation for (in Upper age limit) 05 years for SC and ST candidates 03 years for OBC candidates relaxation. Candidates should log on to https://www.mahapariksha.gov.in//. First, Go to the “Advertisements” and Select the desired post you want. Read the complete information carefully and Click on the “Apply Online” option. Click on “Click here button for New Registration”, if you are a new user on site. User complete the Registration form and Click on “Submit” button. After Registration, Log in the candidates with Registered Number and Password that provided. Fill the all details information in the application and upload Photo and Signature of candidates. Application fee should be paid through Online mode and then Submit the Form carefully. 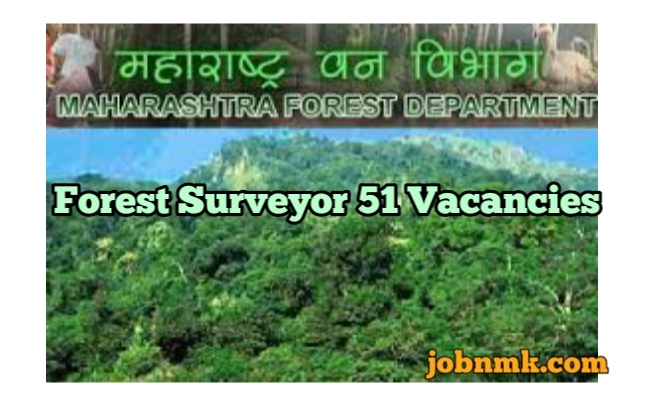 We hope now you all are aware about Maharashtra Forest Department Surveyor Vacancy.